From: The Gothamist on JUL 23, 2014. 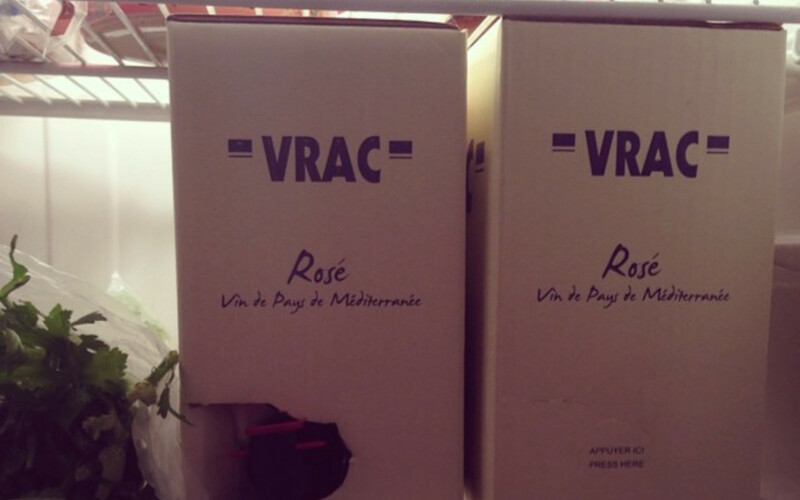 While VRAC’s boxed rosé has been around for a couple of years, it’s been insanely popular this summer, possibly because more stores are carrying it. Or trying to carry it. Recently our local wine provider told us that it’s been nearly impossible to keep on the shelves, adding that the family-sized package of wine is also one of the best rosés out there. But the taste is just part of the appeal. The box of wine (straight from Provence) contains 3 liters of rosé, which comes to 4 bottles, and only costs around $27. (It’s been spotted around the city for as low as $23, and as high as $30.) That’s $6.75 a bottle for some of the best rosé in your wine shop. That’s $1.35 a glass. Why are you suckers even going to bars anymore? With great boxed wine comes great responsibility.